Annie Leibovitz, the famous photographer, which tend to work almost all modern celebrities, created a series of shots in partnership with Bulgari for a new advertising campaign hour collection Bulgari Serpenti. Star of the photo shoot was the actress Rachel Weisz. The main motive of the campaign has become a modern interpretation of the image of Cleopatra, who recreated Rachel. As noted by the company, this image was chosen by chance: in 1962, Bulgari watches were immortalized in the photo taken during the filming of “Cleopatra” Elizabeth Taylor on the wrist. 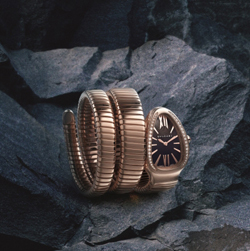 Now in the center of attention – watch new Bulgari Serpenti. The new campaign will start in September. Custom bobbleheads Can Serve as Great Presents!